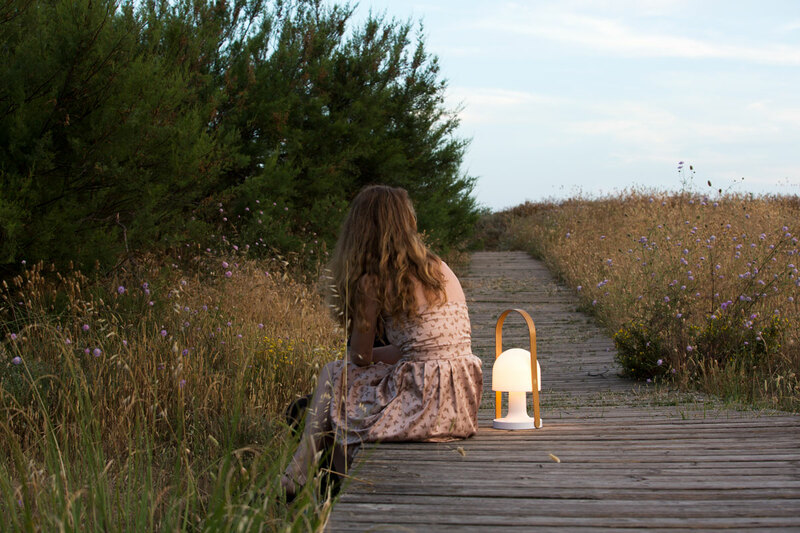 Portable and rechargeable, FollowMe is a table lamp that can be taken wherever you go. 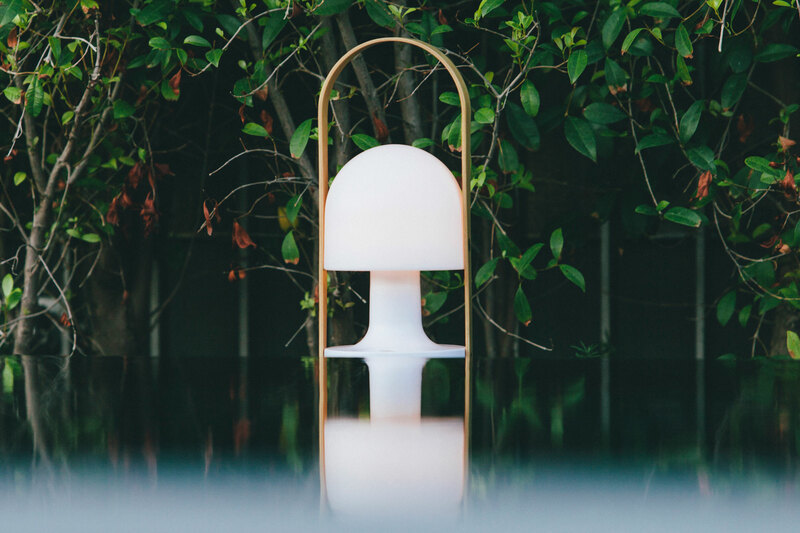 Because of its small, warm, and self-contained character, it is ideal both indoors and outdoors. It also works in restaurants and terraces that have no access to electrical outlets, or to replace candlelight. The oak handle beckons you to pick it up. Compact and small, it almost looks like a personal accessory. 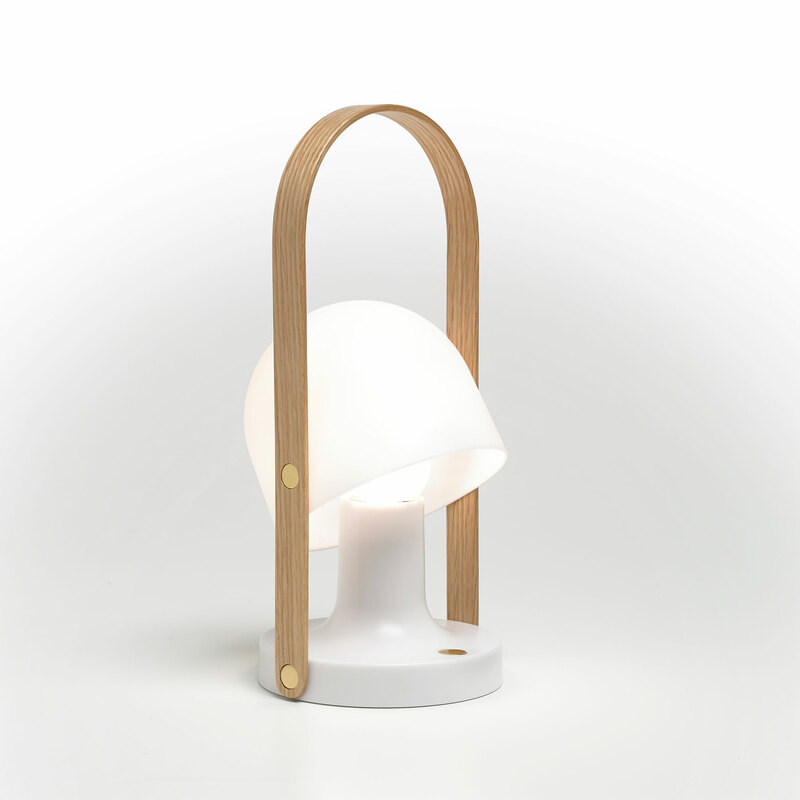 With a swinging lampshade made of white polycarbonate, it boasts a fresh, luminous look. It comes with LED technology and a dimmer. The battery is built-in, and it has a USB port for recharging.